We recently completed a custom 48" round table top project for a customer. 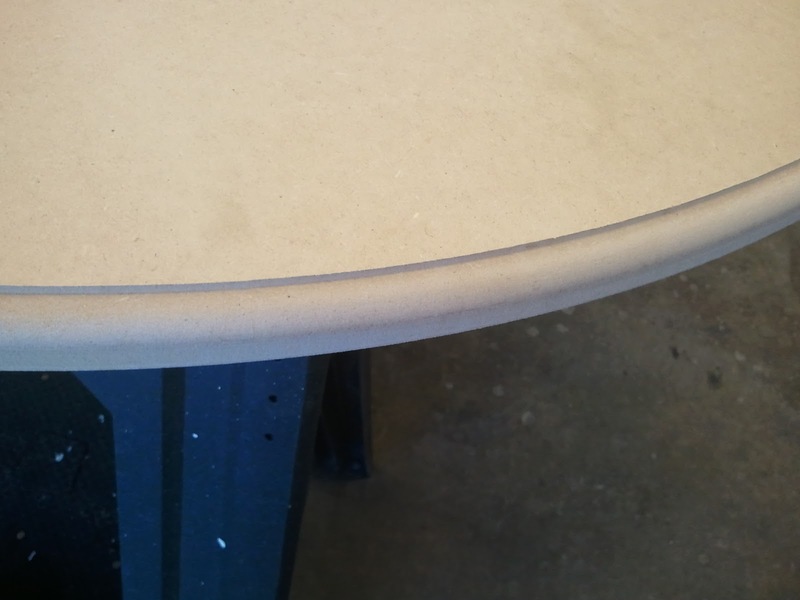 They had an existing table top on a iron base, but the top had been poorly constructed and the finish was damaged. 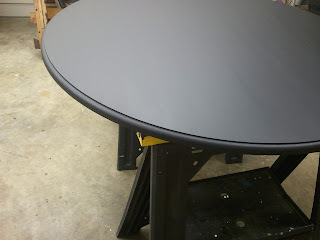 We removed the old top and constructed a new one with a Decorative Beveled Edge & Milk Paint Finish. 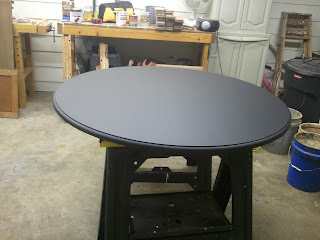 Below are the pictures of the table top in the finishing stages. 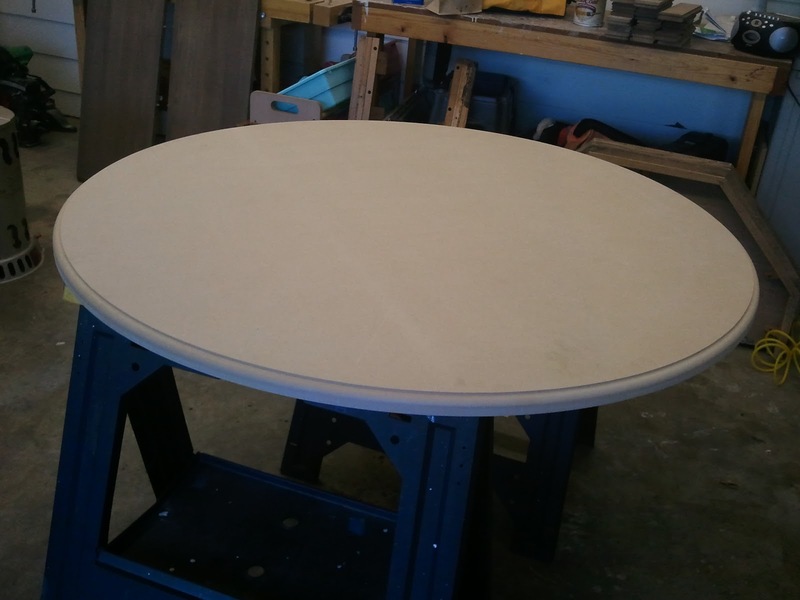 We can also order solid wood round planked or butcher block style table tops and pedestals ready for finishing. 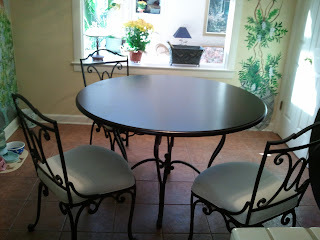 Sizes available are 36", 42", 48" and 60". Give us a call for a quote today. Thanks for reading! 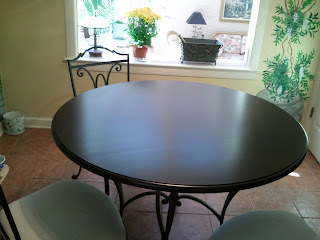 MILK PAINT FINISH WITH CLEAR & READY FOR USE!